Many different styles of sour beer exist today, but my single favorite style is the Flemish or Flanders sour red/brown ale. If you’re unfamiliar with the style it consists of Belgian red or brown ales aged in oak for long periods of time, sometimes multiple years, and then typically blended with “younger” beer of the same style to balance the acidic, sour flavor. My single favorite Flemish sour ale is Bockor Brewery’s Cuvée des Jacobins Rouge. It’s very sour and acidic yet impressively balanced. 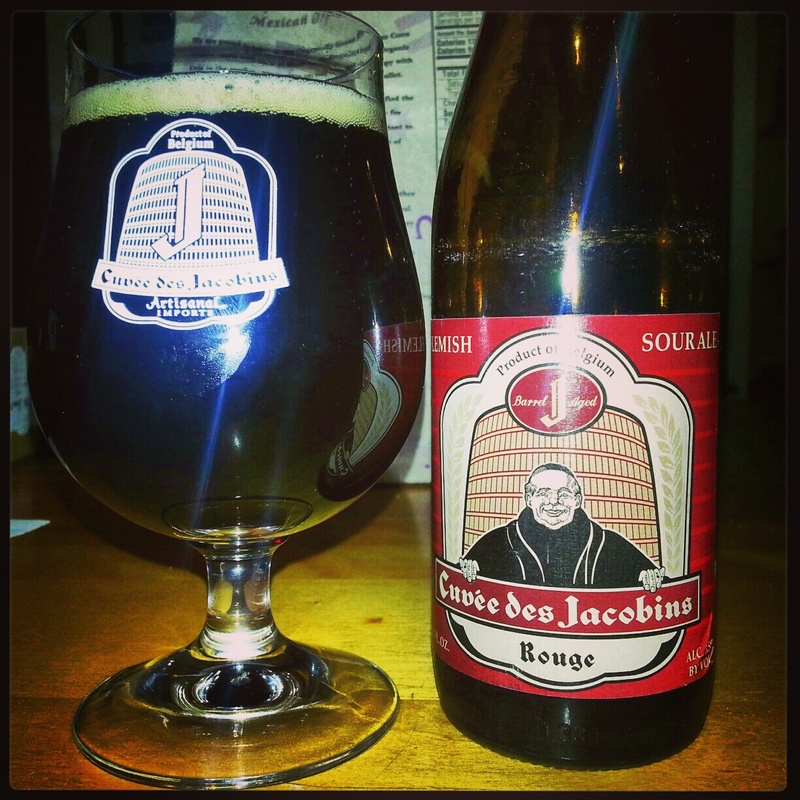 Cuvée des Jacobins Rouge is made from spontaneously fermented beer that’s been aged in oak for at least 18 months. The most common, easiest to find and least challenging Rodenbach beer is the brewery’s flagship Rodenbach Red. It’s the least sour of its brews, and it’s a great starting point for drinkers looking to experiment with the Flemish sour style and sour beer in general. Folks with an established taste for sour beer will also appreciate Rodenbach’s Grand Cru, which is more sour than Rodenbach Red because it’s composed of more older-aged beer and less young beer, and Rodenbach’s Reserve series. Castle Brewery Van Honsebrouck’s Bacchus Flemish brown ale is another must-try Flemish sour beer. It’s similar to the other beer noted here, but it has a very fruity aroma. Duchesse de Bourgogne, or just “Duchesse” as it’s often called in beer bars, is a reddish-brown Flemish sour ale that’s notable due to its strong vinegar taste, which blends nicely with its sour body. The beer is top fermented and is a blend of eight-month and 18-month-old oak-aged beers. Vichtenaar is another top-notch Flemish sour ale from Brouwerij Verhaeghe, and it’s aged in oak casks for at least eight months, but unlike most of the other beers featured in this post, it’s not blended with any other younger or older beer. Those are my five favorite Flemish sour ales. Drop a comment below if you know of any other worthy Flemish sour brews that should be on my list.